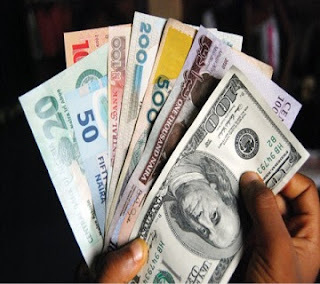 Nigeria Gists: #MustRead: Is The Economy Poisoned By CBN’s Dollar Hoarding? #MustRead: Is The Economy Poisoned By CBN’s Dollar Hoarding? The crash in crude oil prices from over $145 in 2008 to below $40 per barrel presently has invariably reduced Nigeria’s export earnings by over 50 per cent. Consequently, the significant deflation in dollar income is commonly blamed for the persistent intense market pressure on the naira exchange rate. Interestingly, this perception is, ironically, against, the actual reality that the naira exchange rate remained static between N152 and N160/$1, even when the foreign reserves in the Central Bank of Nigeria’s custody exceeded $60bn. Indeed, with the prevailing euphoria of a presumed strong reserve base, the apex bank’s challenge appeared to be how to spend/invest all the dollars! Incidentally, after 2006, the International Monetary Fund’s “Policy Support” recommendation to liberalise dollar supply and stabilise naira exchange rate soon became an article of faith in the CBN’s monetary policy management. Ultimately, almost 3,000 Bureaux de Charge became licensed to sell weekly dollar allocations supplied from the CBN’s reserves. Curiously, dollar allocations to the BDCs often exceeded the monthly provision for the real sector, despite their indisputable role as engine of economic growth and prime creators of employment opportunities. Additionally, personal naira debit cards were actively promoted by the banks, with the CBN collaboration to enable Nigerians cash up to $150,000 from ATMs abroad at the official naira rate, even when it is clear that possibly less than one per cent of Nigerians earn N15m annually. Clearly, such uninhibited dollar supply clearly promotes widespread money laundering and liberal imports of contraband which undermine government’s declared intentions to support local industrialists and create more jobs. Ironically, while billions of dollars are offered to the BDCs and Nigerian travellers at official rates, some local manufacturers are denied access to the CBN dollars and are therefore invariably constrained to fund their dollar needs at over N240/$1, while other equally genuine industrialists may also have to remain in bank queues for several weeks before they obtain forex cover for their critical raw material imports. Besides, it is certainly irrational for the CBN to gleefully sell “our” dollar reserves at face value to the BDCs and tourists, while government is simultaneously busy borrowing the same dollars externally with an unnecessarily high cost. Nevertheless, the CBN remains resolute that its forex control measures are absolutely necessary to protect the naira exchange rate and by extension our economy and the welfare of our people. Evidently, however, the present wide difference between an official (read as subsidised) rate of N197 and the open market price of N240=$1 would expectedly create potentially serious market distortions and threaten economic and general price stability. The above realities notwithstanding, the CBN management proudly positions itself as credibly performing its role as the constitutional defender of the naira exchange rate with dollar reserves in its custody! Incidentally, however, if the slide in crude revenue persists, Nigerians may begin to question why fuel imports, corporate dividends and technical fees, which consume about 80 per cent of our total forex income, are subsidised with cheaper forex allocations when a significant segment of the real sector is conversely forced to endure higher black market exchange rates to import those critical inputs they require to produce and create jobs locally. Regrettably, if this imbalance persists, we may ultimately become helpless against the challenge of cheaper imports of finished consumer goods flooding our markets, and forcing factory closures and throwing more Nigerians into an already saturated job market. Nonetheless, it may be necessary to examine how the CBN accumulates its dollars, since the apex bank clearly does not produce and export of goods or services that could sustainably fund its relatively high reserves base. Firstly, we may need to ask who actually owns the reserves in the CBN’s custody? Indeed, if the Nigerian federation truly owns the dollar reserves in the CBN’s custody, it would be unexpected and inexplicable for government to simultaneously resort to funding its programmes with external borrowing with higher interest rates when in fact it has $30bn idle deposits, which earn minimal or nil yield in the CBN vaults and accounting records. Curiously, in 2013, former President Goodluck Jonathan paid a business visit to China with a distinguished delegation which included then Minister of Finance and Co-ordinating Minister of the Economy, Dr. Ngozi Okonjo-Iweala, and a former CBN Governor, Lamido Sanusi, now the Emir of Kano. While President Jonathan went in pursuit of a $3bn loan package for the enhancement of aviation, railway and marine infrastructure from the Export-Import Bank of China and the China Development Bank, Sanusi, the CBN governor, conversely reported that his mission was to assess how some of the CBN’s surplus reserves of about $40bn could be held in alternative currencies such as the Chinese Yuan. Clearly, the import of the preceding scenario is that the CBN reserves are not actually consolidated to bring respite from those social and infrastructural deprivations Nigerians suffer. Furthermore, what in fact stops the Chinese Bank from selling Yuan or at best borrowing Sanusi’s dollar reserves for below three per cent and turning round to lend the same funds to Jonathan’s delegation with a higher interest rate? Ultimately, Nigerians would probably know no better, if this obtuse strategy was adopted and the state visit to China would still be heralded as very successful back home in Nigeria! The begging question however, is, how can the CBN confidently lay sole claim to the dollar cache that is in the light of the preceding, obviously erroneously called our national reserves? Evidently, the size of the CBN’s reserves clearly has nothing to do with any direct economic activity of the Bank. Instructively, therefore, the CBN consolidates its reserves by retaining Nigeria’s export dollar revenue from crude oil and substituting naira allocations at its own unilaterally determined exchange rate before the distribution of bloated naira sums to the constitutional beneficiaries of the federation pool. So, while the three tiers of government are fed with increasingly worthless naira values, the CBN “wisely” keeps all the dollars we earn. Consequently, any fortuitous increase in dollar revenue for whatever reason will also increase the burden of systemic naira surplus which ultimately fires inflation and also induces weaker naira exchange rates, as the resultant debilitating excess naira supply chase the small rations of dollars that the CBN ironically auctions from time to time to defend the naira! In addition, the subsisting naira surplus unfortunately induces a highly oppressive cost of funds and also discourages investment and job creation as the same CBN which initially instigated the naira surfeit, impulsively spikes its benchmark interest rate to banks, to discourage consumer borrowing and liberal spending as a strategy against a threatening inflationary spiral. Technically, reserves are normally defined as any excess to immediate requirement; consequently, the real reserves we own are those deposits which are constitutionally consolidated from any revenue earned in excess of annual budget projections, and warehoused in the Excess Crude Account and the Sovereign Wealth Fund. In the light of the preceding, we may once more ask, who owns the reserves? Surely, it would be unconscionable if the three tiers of government also subsequently lay claim to all the dollars in the CBN’s custody after they have readily accepted and consumed the substituted naira allocations. Surely, you cannot have your cake and eat it! Instructively, however, if the CBN releases its stranglehold on the foreign exchange market so that the distributable dollar revenue are allocated with dollar certificates or warrants, the eternal challenge of excess naira liquidity will be eliminated as more dollars chase limited naira or reduce naira sum in the market and the naira exchange rate will automatically become stronger. In this event, the inflation rate will reduce and cost of borrowing will also fall, as the CBN sell treasury may no longer be necessary to control excess liquidity.